(Los Angeles, CA – April 2016) The dynamic duo of Whitford/St. Holmes are ready to reunite and reclaim the rock magic they first produced over thirty years ago! 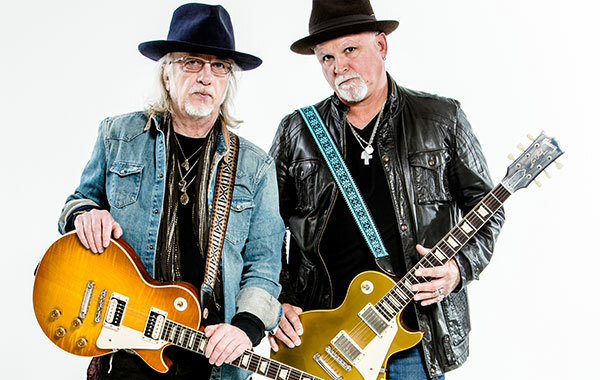 Featuring Aerosmith guitarist, Brad Whitford and Ted Nugent vocalist/guitarist, Derek St. Holmes, the duo of Whitford/St. Holmes is back together and ready to release their exciting new studio album this June, with a nationwide tour immediately following. It was 1981 when Whitford, who had left Aerosmith, first teamed up with Derek St. Holmes to release their self-titled debut. Tracks like “Sharpshooter” and “Whisky Woman” carried on the stadium rock n roll style that made them famous. The album received critical acclaim and they did a successful round of tour dates before returning to their respective bands and shelving the duo. Until now! The band will head out on tour this June with Whitesnake. The tour launches on June 3rd in Dallas and continues on through Texas, Indianapolis, Ohio, Detroit, Boston and more. This leg of the tour will conclude on July 1st with a headline show. More Whitford/St. Holmes headline shows are expected to be announced shortly.